Jo is a trail geek from Minnesota who loves pomegranates, deep purple, and Ace of Base. She moved to West Virginia in 2011 to volunteer as the Great Eastern Trail Coordinator (VISTA), which was one of the best years of her life (thank you HBB!). She has also lived in Alabama, Alaska, Oregon, Chile, and on a ship. She studied anthropology and languages at a whole bunch of colleges and later studied international communication and environmental education in grad school. Working on trails is more fun, so she volunteered on the Superior Hiking Trail (MN) and the North Country Trail (WI). Jo hiked the Appalachian Trail in 2009 - 2010 where she earned the name of "Someday." She hiked the Superior Hiking Trail a couple of times during 2006 - 2008, the Long Trail in 2011, and the Benton MacKaye Trail in 2012. She is obsessed with Kiva.org and thinks you should join because it's awesome. Since hiking the GET, Jo has worked as a caregiver and in special education. She hiked the Kekekabic Trail in fall 2013, the Ice Age Trail in fall 2014, and the Border Route Trail in 2015. She moved to Two Harbors, MN to work for her first love, the Superior Hiking Trail, and is excited to become a trail angel. Because she is a total nerd, she read every book by Astrid Lindgren in 2015 and blogged about it because, like, three people cared. Hillbilly Bart is from Mullens, West Virginia. He graduated from Concord College in Athens, WV. He likes beans, beer, cornbread, and Wang Chung's song Dance Hall Days. He enjoys fly-fishing, hunting and canning anything edible, and hiking with his dog Sula. His other hobbies include growing out his beard and turning his front- and backyard into a wildlife science project. He plays guitar and writes songs of the G- and R-rated nature. He is the Athletic Trainer for Wyoming East High School and President of the Upper Guyandotte Chapter of Trout Unlimited. Bart recently completed his first marathon and has done extensive hiking. He looks forward to tackling something as epic as the Great Eastern Trail. He is a lifelong believer in Bigfoot and hopes to find one during the hike. Since Bart hiked the GET he has worked as long-term substitute teacher and returned as the Athletic Trainer. We'll update this as often as possible! Expect delays due to weather, technology, and lack of oomph. We'll get in touch with the world when we can. Word. Thruhiking (walking the entire length of a trail in a single year) has long been a tradition on other trails, such at the Appalachian Trail. There has been one attempted thruhike on the GET. This trail is still a baby and thruhiking it is problematic. So, no. We estimate that the journey will take roughly 5 months. We plan to leave in early January and finish by early June. But who knows? Why are you leaving in the winter? You have heard that this is supposed to be a rough winter? We plan to sleep in our tent or a shelter most nights. The majority of nights will be tenting, unless there is an available Sasquatch lair nearby to cozy up in. We get by with a little help from our friends. And our maps, guidebooks where available, a compass, gut instinct, and good luck (we hope). What about bears/snakes/scary people in the woods? What are you going to do about the gaps in the trail? Currently, the Great Eastern Trail does have gaps, and we will be attempting to connect the dots to walk one continuous trail. Therefore, we are going to hike all completed sections of the Great Eastern Trail. A completed section of trail means that accessible trail connects one trailhead/accessible road to another trailhead/accessible road. Places may exist along the Great Eastern Trail where a bit of trail is built but does not yet connect to anything and dead-ends in the woods. These dead-end sections of trail are not suitable for thruhiking, and we will tackle those situations on a case-by-case basis in order to hike as much of it as possible without backtracking. In between sections of completed trail, we will work with local clubs and volunteers to find a viable road-walk. If you spend so much time on roads, is this actually a thruhike? We sure think so. When the Appalachian Trail was deemed "complete," 47% of it was on roads. The Great Eastern Trail has less than 47% on roads. Since Earl Shaffer thruhiked the Appalachian Trail, the vast majority of the AT has been re-routed. We expect the Great Eastern Trail to change a lot in the upcoming decades, but we're excited to experience what it is now. Do you want to spend a night on my floor/in my garage/in my barn? YES. If you live near the trail and want to help us out with routes, a warm place to sleep, a shower, or a serenade, please get in touch with us. Your kindness will be much appreciated and we'll give you a shout-out on our blog. Especially if you serenade us. Here. You can also leave a comment on this page. If you have any other questions, please feel free to contact us via phone, e-mail, telepathy, smoke signals, skywriting, interpretive dances, the blog, Morse code, and tree knocks. Bart I love this! I dated a guy who, during our year of dating, hiked the Pacific Crest Trail for 4 months! He said it was amazing! I hope you have so much fun! Make sure you gain about 25 lbs before you go....you will need it on your hike! Yo, man...I like your style...Have a great hike. 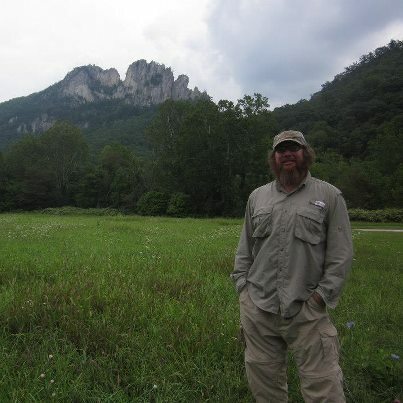 Oh how miss the Seneca Rocks and my friends in Elkins! Do you know Megan Gyongyosi by chance? .....looks like we have plenty to talk about!.... (c'mon!...beans, cornbread and pomegranates? ).....says here you might need an occasional shower?.....(nah! )....but we do have water...even though we live in a camper!.....and i am free almost anytime to drive wherever to pick y'all up...........(and just a li'l note of encouragement....spring IS on its way! )......hike on, peeps!